Finished the two stars to add to the collection, ending the month with a wall full of Teal. I like this color, so I put all of the Teal Blocks together. 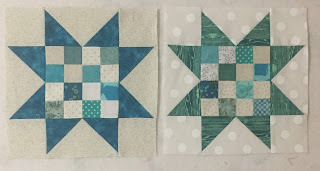 I have so much teal fabric, I went ahead and cut out a couple more pinwheels and stars...something to add later. And...here is the rainbow collection of stars. Love your rainbow stars! And all of your teals and aquas look great together. Your wall of teal scrappy blocks is gorgeous!! The stars look great mixed in with the other colors, too. 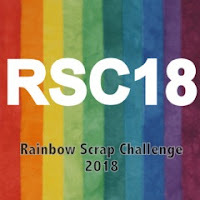 The Rainbow Scrap Challenge really seems to be working well for you! 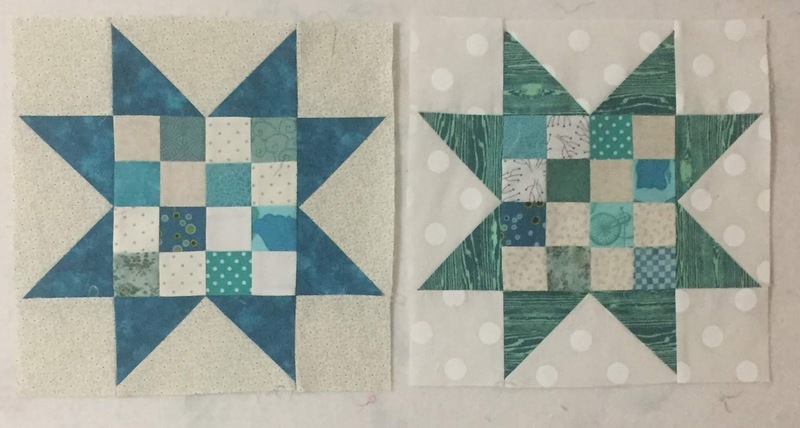 So nice all your teals together and your rainbow of Stars are going to make a lovely quilt. You have a great collection of blocks there! I really love those stars! The stars look lovely. The 16 patch in the centre is a good idea. A few years back the RSC challenge was saw-tooth stars with different blocks in each centre. They turned out really beautifully. Unfortunately I haven't quilted mine yet! I love all the soft colors you are using. When I think of this challenge, for some reason, I always think of the pure bright colors, and I am trying to expand my colors. These colors are just perfect! They fit the theme without being gaudy! Your stars look fabulous. So many great scraps put to use.